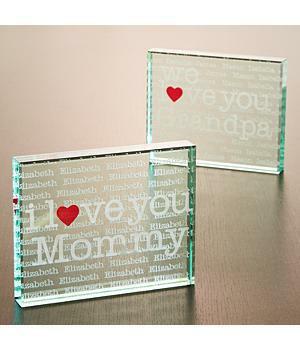 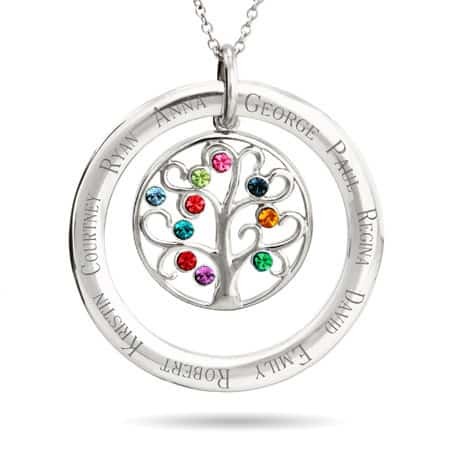 This Engravable Family Tree Pendant is set in beautiful sterling silver. 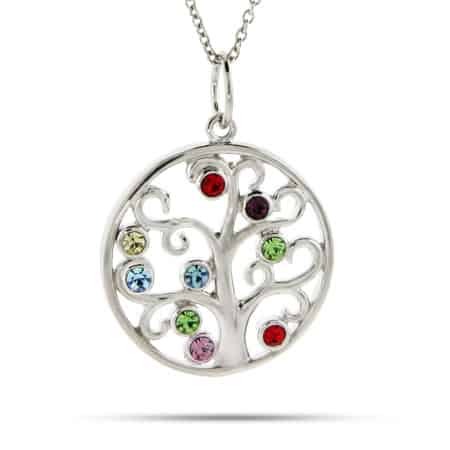 A perfect gift for mom, she will enjoy her loved one’s birthstones (up to 8) set into this family tree necklace. 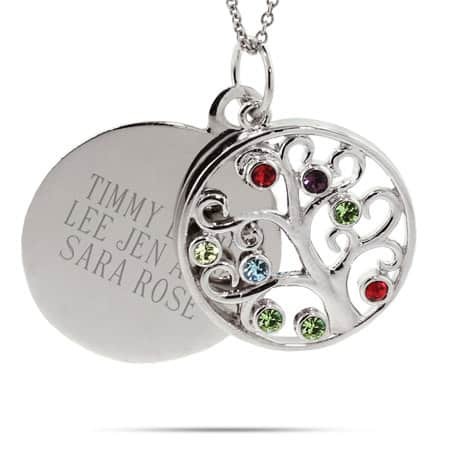 Add an extra special touch and have this pendant engraved on the silver round tag with a special message.